Kristin Chenoweth Is Crowned Prom Queen at Broadway's 'The Prom' Opening! Kristin Chenoweth wears a “Prom Queen” sash while walking the red carpet at the opening night performance of the new Broadway musical The Prom on Thursday night (November 15) at the Longacre Theatre in New York City. 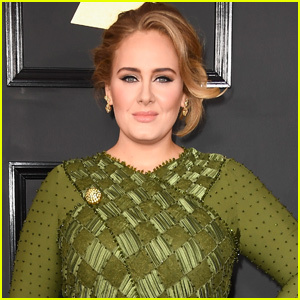 The Tony-winning actress was joined at the event by fellow Tony winner Sutton Foster, as well as Danny Burstein, Victor Garber, Lilli Cooper, Lesli Margherita, and American Idol‘s Clay Aiken and Ruben Studdard. Kristin raved about the show on Instagram after the performance. “Go see the Broadway musical @theprommusical NOW! It’s perfect. #bestnewmusical,” she wrote. We highly recommend the show. You’ll have such a fun time! 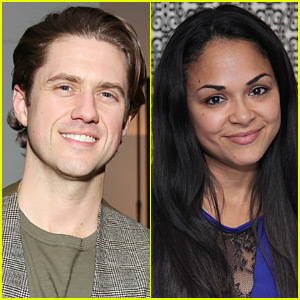 Aaron Tveit & Karen Olivo Celebrate 'Moulin Rouge' Gala Performance in Boston! Aaron Tveit and Karen Olivo pose for a photo at the special gala performance for Moulin Rouge! The Musical on Sunday night (July 29) at the Emerson Colonial Theatre in Boston, Mass. The two stars were joined by co-stars Danny Burstein and Tam Mutu to celebrate the special performance. The musical’s pre-Broadway run is currently running in Boston through August 19. There is no Broadway run currently scheduled, but it would be surprising if the show doesn’t transfer! Watch the video of Aaron singing “Come What May” from the muscial. The cast of the pre-Broadway run of Moulin Rouge! the Musical has been announced! Aaron Tveit will play Ewan McGregor‘s Christian while Tony winner Karen Olivo will step into the shoes of Nicole Kidman‘s Satine. Also starring in the cast are Danny Burstein as Harold Zidler, Sahr Ngaujah as Toulouse-Lautrec, Ricky Rojas as Santiago, Robyn Hurder as Nini, and Tam Mutu as The Duke of Montroth. This could be Aaron‘s first appearance in a Broadway show since 2011′s Catch Me If You Can if he leads the show in New York. He most recently starred in the CBS series Braindead and led the cast of Fox’s Grease: Live two years ago. Karen won a Tony for her work in West Side Story and she most recently played Angelica in the Chicago production of Hamilton. 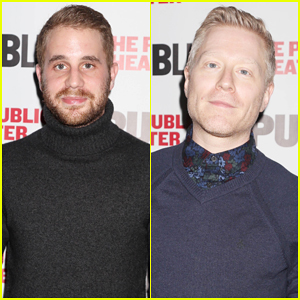 Ben Platt & Anthony Rapp Step Out To Support 'The Low Road' Opening Night! Ben Platt and Anthony Rapp are dapper as they hit the red carpet at the opening night party for The Low Road held at The Public Theater on Wednesday (March 7) in New York City. 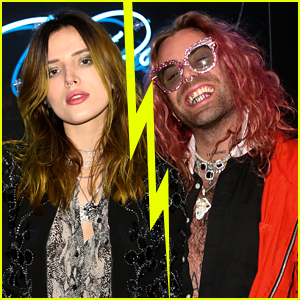 The 24-year-old actor and Anthony, 46, were joined at the event by Danny Burstein, Annaleigh Ashford, Joe Tapper and Annie Parisse, as well as the stars of the Off-Broadway play Harriet Harris, Chukwudi Iwuji, Chris Perfetti, Daniel Davis, Tessa Albertson, Susannah Perkins, Danny Wolohan, Crystal Dickinson, Aaron Michael Ray and Johnny Newcomb. Billed as a “parable about the true cost of inequality,” the play follows the young man’s path to riches at whatever cost. It was recently announced that Ben has landed his first movie role after his Tony win for Dear Evan Hansen! Logan Lerman & Sarah Gadon Bring 'Indignation' To NYC - Watch New Clip! FYI: Logan is wearing Saint Laurent. 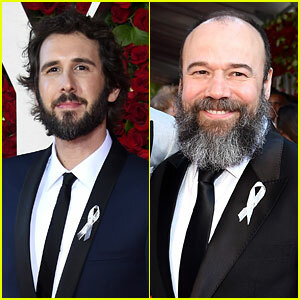 Josh Groban wears a gray ribbon to honor the Orlando victims at the 2016 Tony Awards held at the Beacon Theatre on Sunday (June 12) in New York City. The 35-year-old singer, who will make his Broadway debut later this year, presented the performance from Fiddler on the Roof featuring Tony nominee Danny Burstein. While bringing him to the stage, host James Corden said that the connection between the singer and the show is that Josh starred as Tevye in his high school production of Fiddler. He then showed a video of the performance, which you can watch below! Make sure to get your tickets to see Josh in Natasha, Pierre, and the Great Comet of 1812. 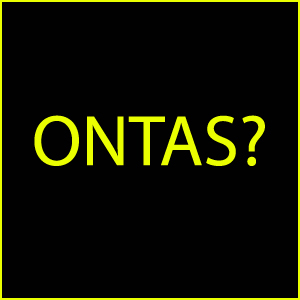 It opens in November!